Whether you have a boiler breakdown or need a boiler installing then JCH can help! We are a family run business based in Clapham, London. Our fully qualified Gas Safe Engineers and Corgi registered engineers service all of the London area and can help with combi and gas boiler faults, boiler repairs or replacements. JCH London offers no less than a 5 year guarantee on all gas boiler and combi boiler replacements. We are constantly trying to improve the efficiency of our customers central heating and hot water systems that’s why we always view each installation differently, offering weather compensation installations as standard. 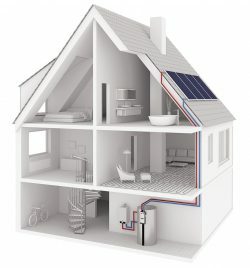 As MCS registered installers we can also offer solar thermal hot water systems, photovoltaic solar systems and green energy heat pumps. Get in touch with JCH here.